She was born in 1935 in New York City. Her mother, Ruth Crawford, was a composer and piano teacher; her father, Charles Seeger, was an ethnomusicologist and music administrator. Peggy's formal music education was interwoven with the family's interest in folkmusic. She began to play the piano at seven years old. By the age of eleven she was transcribing music and becoming conversant with counterpoint and harmony. Between the ages of 12 and 35 she learned to play guitar, five-string banjo, autoharp, Appalachian dulcimer and English concertina. She tried the fiddle - and failed. 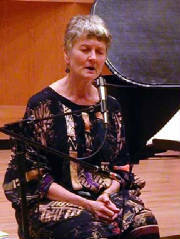 She attended Radcliffe College in Cambridge, Massachusetts, where she majored in music and began singing folksongs professionally. She went to Holland in 1955 (where she studied Russian in the language of Dutch!) and then took off on a spontaneous world tour that included Russia, China, Poland, most of Europe and part of Africa. 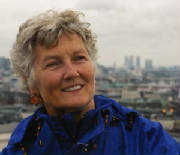 In 1959 she became a British subject and settled in London with Ewan MacColl, the British dramatist-singer-songmaker, by whom she had three children (Neill, Calum and Kitty). 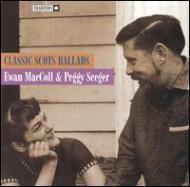 It is for Peggy that MacColl wrote the classic First Time Ever I Saw Your Face. The MacColl-Seeger work was seminal - its high point was the development of the revolutionary Radio Ballad form, a tapestry of field recordings of speech and sound effects melded with new songs in the folk idiom and complementary instrumental accompaniments. One of these Radio Ballads, SINGING THE FISHING, took the 1960 Italia Prize in the radio documentary section. These extraordinary radio programs have now been reissued in an 8-CD set by Topic Records. 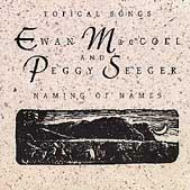 Seeger and MacColl initiated innovative work in the British folksong revival, incorporating folk techniques in film music and songwriting and emphasising the connections between traditional artistic forms and political content. For seven years they ran the controversial London Critics Group and produced a yearly political theatre show The Festival of Fools. They formed their own record company (Blackthorne Records). 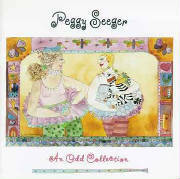 Peggy started and edited a magazine of new songs (The New City Songster 1965-1985). They gave concerts and workshops throughout Europe and the New World, occasionally with Neill and Calum, both excellent musicians in their own right. In 1983, she began working on and off with Irene Scott, an Irish traditional singer with whom, after Ewan MacColl’s death in 1989, she formed the duo NO SPRING CHICKENS. They toured for four years until Irene’s work as a veterinary administrator necessitated a temporary cessation in 1994. Their company, Golden Egg Productions, issued their only CD, Almost Commercially Viable, an unusual album of political and love songs. This album has since been issued by the English company Fellside (FECD 130) and the USA company Sliced Bread (SB7 1204). BBC Radio 2 interviewed Peggy with a view to making a short series about her life. These sessions resulted in a five-part series of radio programs that won the Sony Silver Award in 1995. A sixth program was recorded in 1996 and a seventh in 1997. 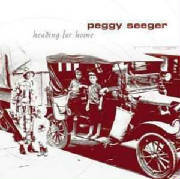 In September, 1994, Peggy moved to Asheville, North Carolina, where she has established residence. She spends a good portion of her year singing and lecturing throughout the United States, with one yearly tour of Great Britain. 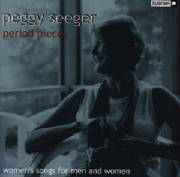 She has since put out a book of her own songs - Peggy Seeger Songbook, Warts and All (Oak Publications, 1998) – and a companion book of the songs of Ewan MacColl (The Essential Ewan MacColl Songbook, Oak Publications, 2001). 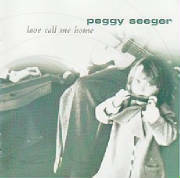 A new venture in Peggy's recording life is her TIMELY series of home-produced CDs, the first of which Songs for October 2004) contains six contemporary songs and will be available 'until Resident Bush is elsewhere'. The second, The Ballad of Jimmy Massey, appearing in 2005, consists of one song only, the title song. It was made out of the words of Jimmy Massey, who resigned in protest from the Marine Corps' protracted service in Iraq and who now travels the country talking about the history of our involvement (!) in Iraq and his part in it. This CD is designed to spread Massey's story but also to help supplement his disability pension.